FOCUS Wales have announced another new wave of performers and delegates for the 2019 international showcase festival, which takes place in Wrexham, North Wales across 16th – 18th May. The second wave has 50 more acts joining the line-up. 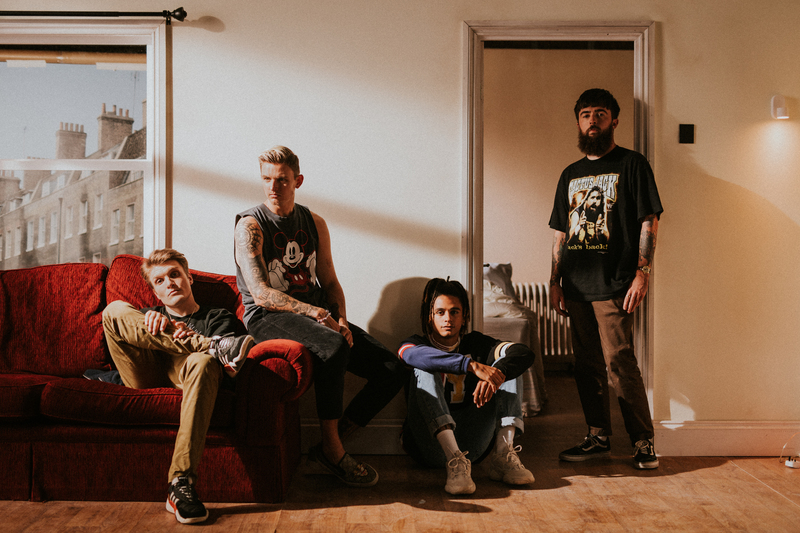 Wrexham locals NECK DEEP who are one of the biggest new music successes out of Wales in recent years, selling out shows around the world and building a huge global fan base throughout the process. Their current tour schedule has them set for shows across Australia and Europe, and the band will then return to Wrexham on Saturday 18th May at William Aston Hall, for their first hometown show since 2015. Also announced, Newport ragga-punk-metallers SKINDRED, who have forged a reputation as one of the Europe’s most formidable live acts, by rocking the world’s biggest stages, and winning Kerrang! and Metal Hammer Awards for their efforts. Skindred join the FOCUS Wales line-up and will play William Aston Hall, Wrexham on Thursday 16th May. Also announced among this new wave of acts are the momentous alt-pop outfit COLORAMA. Headed by Carwyn Ellis, Colorama have 8 acclaimed studio albums under their belts, and have graced the stages of festivals such as Glastonbury, Latitude and Greenman. Joining them on the line-up are GLOVE, who made waves at FOCUS Wales 2018, attracting the attention of Louder Than War creator John Robb. This duo are hotly tipped as ones to watch for 2019. WORLDCUB are an exciting new North Wales band. The bilingual psych rockers combine members of much loved Welsh band CaStLeS, and Paris based Hippies vs Ghosts. FOCUS Wales has become Wales’ biggest music industry event, with 3 days of panels and keynote talks, the festival will see over 250 music industry professional delegates descend upon Wrexham from around the world. Latest speakers to be announced include: RACHEL CRAGG (Nettwerk Music Group, USA), KELLY BENNATON (DHP Family), CAI TREFOR (Gigwise), ANASTASIA CONNOR (Song By Toad), RENAE BROWN (Vision Nine Group), DOM GOURLAY (Drowned In Sound), LIZ HUNT (Creative Republic Of Cardiff), and JOHN ROBB (Louder Than War). FOCUS Wales 2019 takes places 16th, 17th, 18th May across various venues in Wrexham, North Wales. Full 3 day wristbands for admission to all FOCUS Wales events are available now at www.focuswales.com/tickets standard festival tickets start at an early bird price of £35 each. FOCUS Wales is supported by Arts Council of Wales and Welsh Government.